Howdy folks. I’ll start this month. The infamous river crossing. Remember ALWAYS ford the river. Got dual controller working. Had my son help me shoot a video since now it requires two people to really show it’s stuff. …no damage or anything yet but it was still a lot of fun to shoot at each other. Promising for when actual game elements are added. 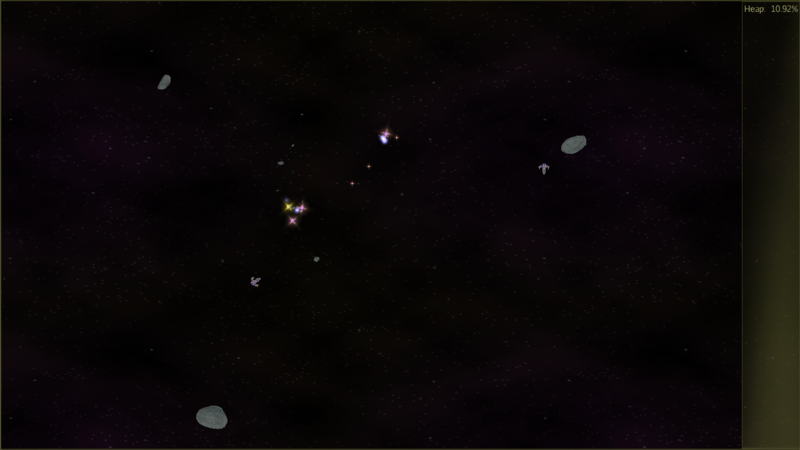 I should be committing the Lemur fixes tonight as well as the updates to this little space game example. 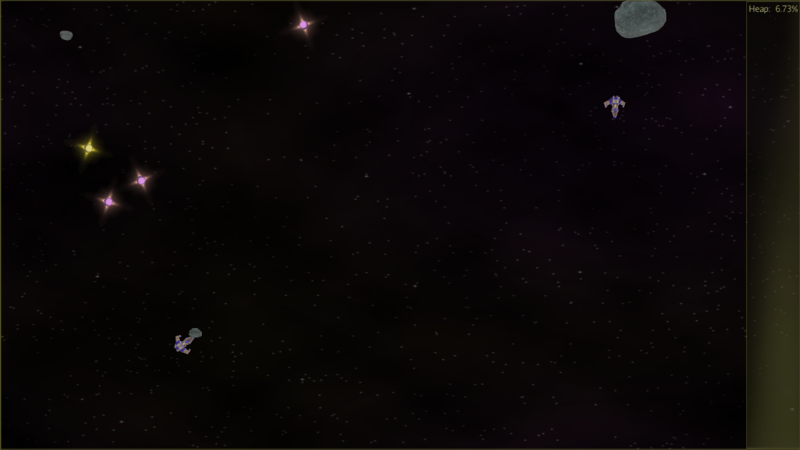 Edit: what’s really fun is how good it looks to me considering how little time I spent on the starfield, bullets, etc… they turned out pretty nice, I think. 15-minute specials. …probably another Lemur release 1.13.0 soon. I have a question, is this game network multiplayer? Or do you play one on one on the same screen? You play on the same screen. It was written to test multi-joystick support in Lemur. @tlf30 That’s awesome to see running. But is the FPS lower than usual? I get over 9000 (read using appropriate Vegeta yelling voice) for that same demo. @tebriel Hm… I had not noticed, but you are right. I should be getting a lot higher than that. I am running a Threadripper 2 on a GTX 1080 TI. I’ll push it to my GitHub in a bit when I get back to my desktop. EDIT: It could be that the snipping tool messed it up while it was being snipped. I have had that happen before. I will check when I get back. Good news is that the snipping tool was messing with it. 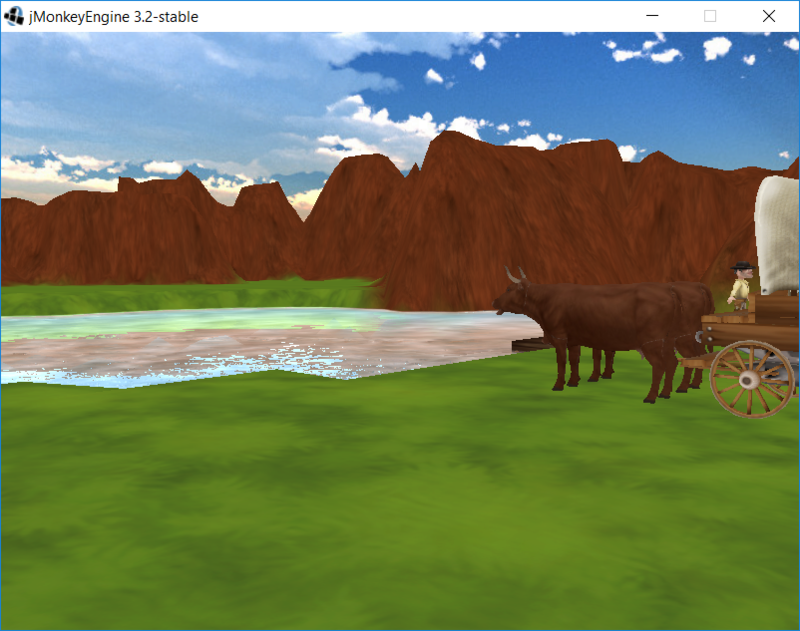 I am getting 4100 fps stable, which is much better, but still not as good as I am used to just running a blue box. That’s somewhat better, but yeah it’s worth looking into. I have a 1080 around here somewhere but I think this PC is just a 1070/6700K. So your system sounds more high end. One difference is that I’m on Linux normally, but that’s usually a bad thing for performance. Edit: Not sure what resolution you’re using, but my “OVER 9000” FPS here was at a tiny resolution, 600,600. If I maximize that to 3440 x1440, it drops to around 4000 FPS. JME 3.2-stable here also. Please remember guys/gals - running at crazy frame rates may very well ruin your card in the long term. I can hear the capacitors and mosfets squealing from here. The constant start stopping from zero to crazy day in day out will take its toll. @jayfella I leave it uncapped during dev stuff as a cheap “canary” test for changes made which drop FPS far more than I would expect. Yeah, maybe should use a better method. It did come in handy when I was doing quadtree terrain rendering experiments awhile ago. For hardware wear, not saying you’re wrong (I’m ignorant), but how do you know? It sounds like the kind of thing that many people believe, but is just a myth or “used to be true”. Again though, not saying that’s wrong. Kinda what I figure based on reading up on GPU mining and such. But mining load != 3D rendering load and I’m not a hardware expert… jayfella mentioned capacitors & transistors, not the GPU or even heat. But hey, the marketing guys said on the box that the caps are “Japanese capacitors” so that must be good, right? Right? They aren’t designed to run at 9000fps or whatever. Each frame is a cycle on the card. It’s the equivalent of a revolution on an engine. You can drive everywhere at 6000 revs too, but it’s not how it’s designed to work. Bitcoin mining or any task that causes that cycle to slow down is what you want. Playing games for months without stopping is fine. It’s doing what it’s designed to do and it will do it well. But if your card is cycling at full revs under virtually no load from nothing round and round, at times for prolonged periods, expect your card to start showing signs of wear.